A must have for the warmer months! Cool Gel Mats There is 1 product. 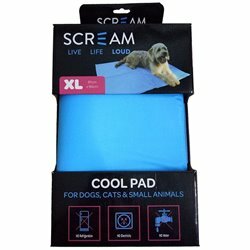 The Scream Cool Pads assist in keeping your pet cool by absorbing body heat & dissipating this back into the air through evaporation via the areas of the cool pad not in use.